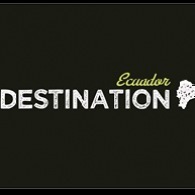 Average rating of 0.0 for all Destination Ecuador trips. Visit Cotopaxi National Park one of the most beautiful protected areas of Ecuador near the volcano Cotopaxi, the highest active volcano in the world. Explore waterfalls, bird watch, learn about plants, explore the surrounding higher mountains. See adventure of the rainforest, Discover medicinal uses for the rainforest’s many plant species. Enjoy wildlife watching from the tower. See some of the Galapagos’ special wildlife, giant tortoises, frigate birds, sea lions, Darwin’s finches, petrels and marine iguanas, among other species. Visit private reserves that borders the National Park where the famous Giant Tortoises inhabit in the wild. Explore Santa Cruz highlands to our exclusive giant tortoise reserve and tented camp. Walk to the beautiful Tortuga Bay beach where you can spot marine iguanas, go for a swim, snorkel or just relax on the pristine sand. Visit The Charles Darwin Research Center, which is the hub of all scientific research in the Galapagos Islands. Visit “EL Trapiche” (trapiche is the Spanish word for sugar mill). We will have the opportunity to glimpse into the daily lives of the locals by experiencing how they produce sugar cane. Visit the Napo River where you get a taste of the Amazon – ancestral communities, life on the river, and birdlife. Enjoy a picnic lunch in the forest in a special spot chosen by our guide. Visit Yasuni National Park which is Ecuador’s largest mainland park. Learn about the local’s architecture, see their farming activities, their lifestyle, discover plants in the rainforest that are used for medicine, and more.